A Labour government in the UK would put an end to gambling companies advertising on soccer jerseys, the party’s deputy leader Tom Watson said on Wednesday. This season, nine out of 20 English Premier League teams are bearing the logos of betting companies across their chests and a combined 62 million has been forked out for the privilege. A further 16 teams in England’s second and third tiers sport gambling logos. “Shirt sponsorship sends out a message that football clubs don’t take problem gambling among their own fans seriously enough. 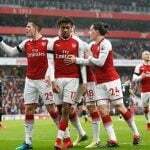 It puts gambling brands in front of fans of all ages, not just at matches but on broadcasts and highlights packages on both commercial television and the BBC,” said Watson. The University of London recently published research that demonstrated just how much the UK soccer audience is exposed to gambling branding. 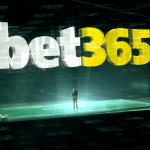 Analyzing three episodes of the BBC’s flagship soccer highlights show Match of the Day, researchers found that gambling logos appeared on screen for between 71 percent and 89 percent of the show’s running time. This is despite the BBC being a non-commercial broadcaster that does not host any advertising at all. The Football Association (FA), English Soccer’s governing body, recently pulled out of its four-year sponsorship deal with Ladbrokes after only one season and announced it was ending all commercial sponsorship deals with betting companies, now and in the future. Individual clubs, however, were not part of the FA’s betting ban. The FA had been forced to examine its uneasy relationship with the gambling industry following several high-profile betting scandals involving players. Last April, the governing body handed Burnley midfielder Joey Barton an 18-month ban after he admitted placing 1,260 on matches since 2004, in violation of FA rules. Barton publicly accused the FA of hypocrisy over its relationship with Ladbrokes. The long-awaited government regulatory review of the gambling industry, scheduled to be published in October, is expected to address the issue of the proliferation of gambling advertising around sporting events, as well examining whether to tighten regulation around bookmakers’ fixed odds betting terminals.